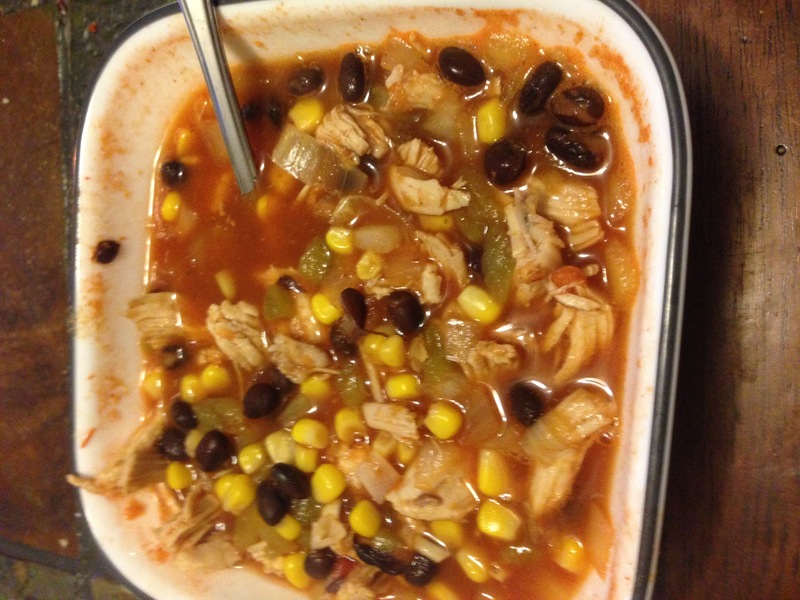 One of my favorite ways to fill my tummy without regret is this yummy Mexican chicken soup. Remember that cooking should be fun! Feel free to swap out any ingredients you don’t like and add in any others that you do! This recipe is very easy to modify and make your own. Start by boiling the chicken breast in a large pot until cooked all the way through. Shred the chicken and place back in the pot with chicken broth and crushed tomatoes. 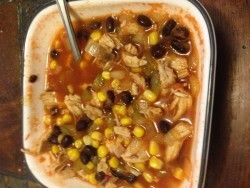 Rinse the black beans then add to the pot with the other vegetables and chicken. Use the garlic, cumin, and chili powder to taste!